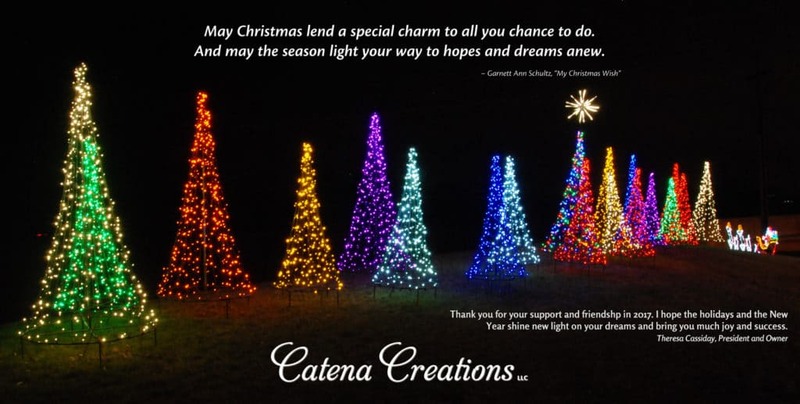 Happy Holidays from Catena Creations! We wish you the best as you celebrate safely. Our offices will be closed from Friday, Dec. 22 through Monday, Jan. 1. We will reopen at 8 a.m. Jan. 2. We will not be checking emails or voice mails during this time.